With so many beautiful fabrics in the market today, it's hard to narrow down choices, especially if you love textiles as much as I do! When designing a room, I often start with a fabric inspiration. 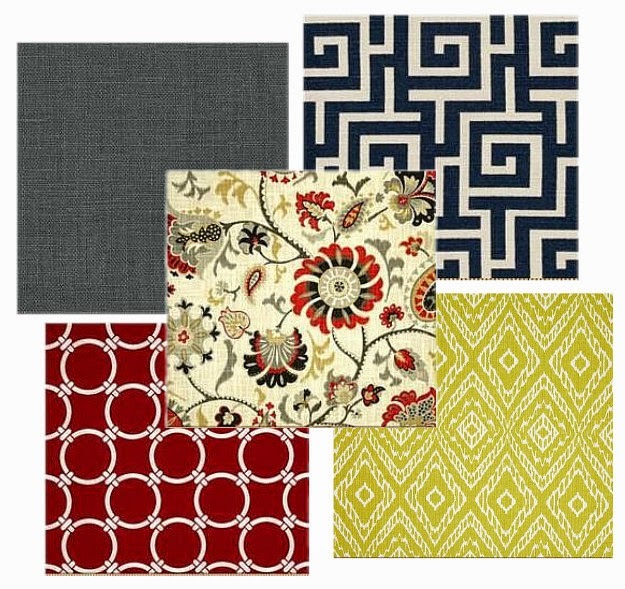 For instance, in the following example, the central abstract floral fabric inspired the other fabric selections for upholstery, pillows, and window treatments. Wall color, accessories, and artwork can also come from the fabric/color scheme. The gray, navy, red, and citrine colors were all pulled from the floral fabric. Geometric and solid patterns were selected for the "supporting" fabric selections so that they would coordinate rather than compete with each other. This is important to keep in mind when layering patterns to prevent a room from looking "busy". Various textures were also infused through the use of different fabrics. Layering color, patterns, and textures in a cohesive manner gives a room dimension and lots of interest! 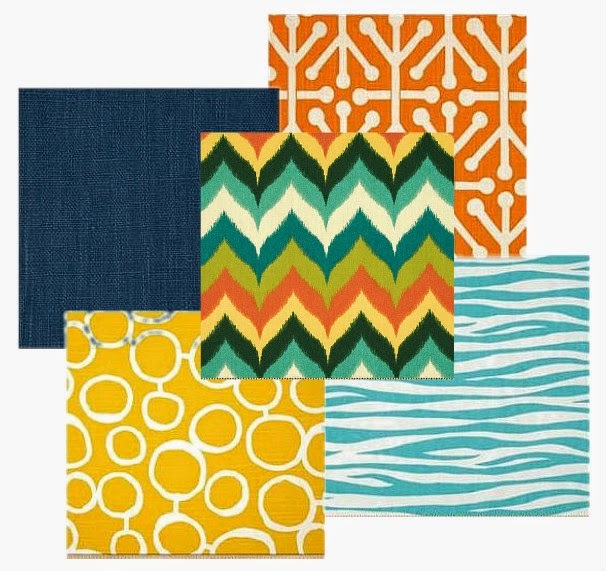 There definitely isn't a shortage of color or pattern in these fabric selections! I love color. Can't you tell?! These fabrics would make a great statement on accessory pillows and throws. 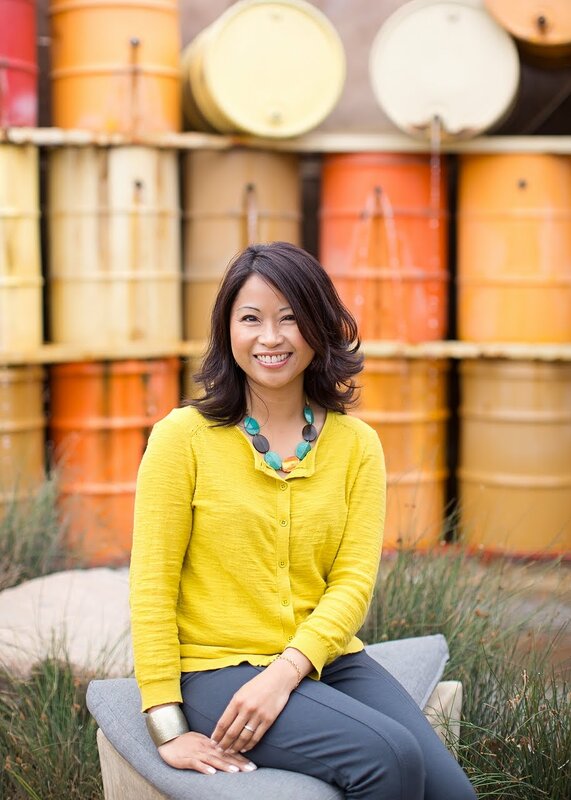 You can keep a room's "bones" neutral and infuse it with color through the accessories and finishing touches. This is a great way to change the feel and look of a room without breaking the budget. 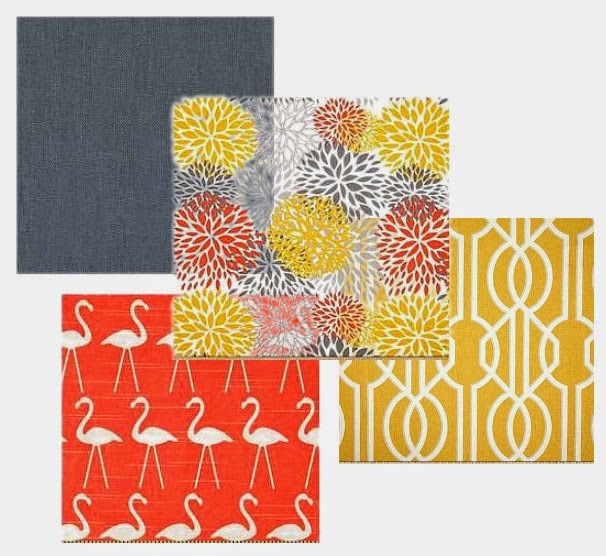 These fabrics can also take a room from "winter" to spring, summer, and fall!